As a dog obsessed lady, I am really into stories of people rescuing their new best friend they never realized they truly needed until they met. If you too are a dog person, you know, you often find yourself greeting the pup walking toward you before the human (opps! 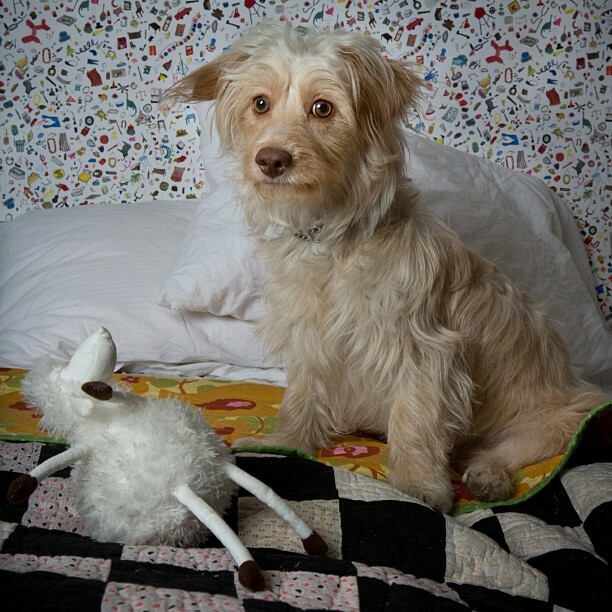 ), you should absolutely read Lena Dunham's tale "A Box Full of Puppies" of her long awaited journey towards her newest BFF, Lamby, pictured above. A bit jealous, we will admit, that Lamb as well as Lamby's Lamb made it into the New Yorker before any of us, nonetheless, we couldn't help but blush, smirk and squeal when we saw them photographed together. Such a handsome pair those two.